‘Changing’ sees Sigma aka Cameron Edwards and Joe Lenzie, collaborate with Paloma Faith and a full orchestra for the follow-up to their No.1 single, ‘Nobody To Love’. ‘Changing’ was premiered on Radio 1 courtesy of Annie Mac (Special Delivery, 11/7/14) and went straight in at 119 on Shazam from the first play alone. Further support comes from Kiss and Capital. Sigma’s ‘Nobody To Love’ has quickly become one of 2014’s highest-selling singles so far, hitting No.1 in eight countries, clocking up 510,000 sales (including streams), 30 million YouTube views and 40 million worldwide streams. Sigma’s remixes for Kiesza (‘Hideaway’), Route 94 (‘My Love’), Clean Bandit (‘Extraordinary’), DJ Fresh (‘Dibby Dibby Sound’) and DJ Zinc (‘Show Me’) have helped make 2014 their best year to date, further proof that the UK duo have big intentions ahead of the artist album they’re currently putting the finishing touches to. Sigma’s summer schedule includes shows across the UK, Europe, North America and Australia, including Glastonbury, Global Gathering, Ibiza Rocks and Bestival. Leeds University alumni – alongside Rusko – Sigma met while balancing raving and studying, working in record shops and promoting events to top up their student loans. While some don their artist mantle when the occasion demands it, Cameron and Joe have made Sigma their ‘life’ since graduation. Early releases with Hospital Records, Viper, Bingo and DJ Fresh’s Breakbeat Kaos, as well as their own Life Recordings, and remixes for Eric Prydz, Ellie Goulding, Stylo G and Sway began to take them to a wider audience. Three-time BRIT nominee Paloma Faith released her third album ‘A Perfect Contradiction’ on March 10, the follow-up to 2012’s double platinum selling ‘Fall To Grace’, and her debut ‘Do You Want The Truth Or Something Beautiful?’ (also double platinum). Her new album features a roster of singer-songwriters and producers including Pharrell Williams, Diane Warren, Plan B, John Legend, Stewart Matthewman and Raphael Saadiq. ‘A Perfect Contradiction’ has already achieved gold status. 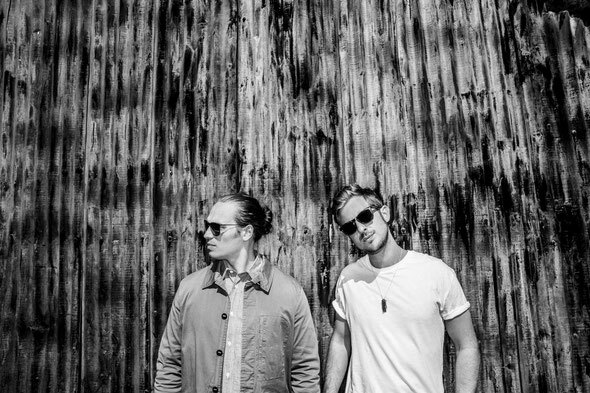 The UK duo has just unveiled the video for ‘Changing’, shot on location in downtown Miami. Check it out below, the track’s out 14 September on 3Bea.